Frankenstein builds the perfect woman — and lives to regret it — in this tantalizing marriage of horror, romance, and unbridled passion! 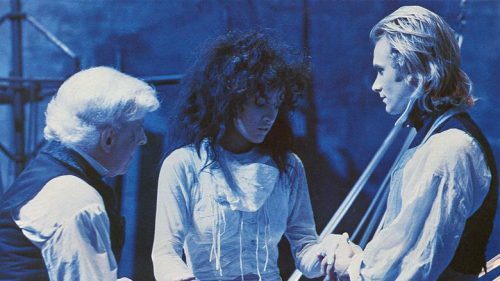 Rock legend Sting (Dune) plays the cunning scientist and Jennifer Beals (Flashdance, The L Word) lends her dramatic presence as his supreme, sublime creation. This sumptuously gothic tale, inspired by the indelible themes and characters originally brought to life by Mary Shelley, follows Frankenstein’s creations as they search for their place in the world — the gorgeous Eva by declaring her independence, and her grotesque intended mate Viktor (Clancy Brown, Highlander) by learning self-worth from a compassionate circus dwarf (David Rappaport, Time Bandits). Can Dr. Frankenstein survive when the monster returns to claim his intended? Alive with brilliant photography and lavish costumes, The Bride invites you to a wedding night you’ll never forget.